Workforce.FM is field service and job management software for all businesses employing field workers. For all of the businesses we work with customer service is key, so we’ve designed a customer portal ensuring everything you need to know is right where it should be. Our software is designed to make your job simple. Many field service management apps promise increased productivity and simpler workflows, leading to a happier and more proactive workplace. This is all true, but at the heart of every successful field service team is a commitment to excellent customer service. Without satisfied customers who benefit equally from the boost to efficiency, what’s the point? 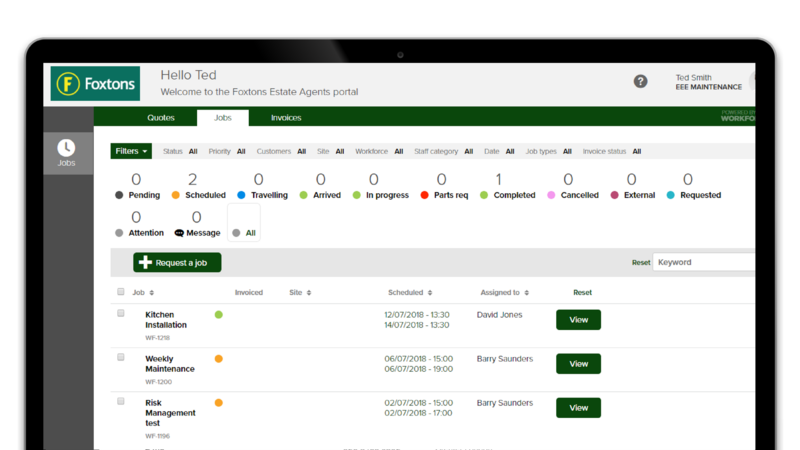 Workforce’s leading field service management software features a Customer Portal that allows your customers to engage with the services you’re providing in a clearer way, while always keeping your office staff in control. Give your customers a brand new experience of accessing, requesting and paying for the services you provide that will make everyone happy. 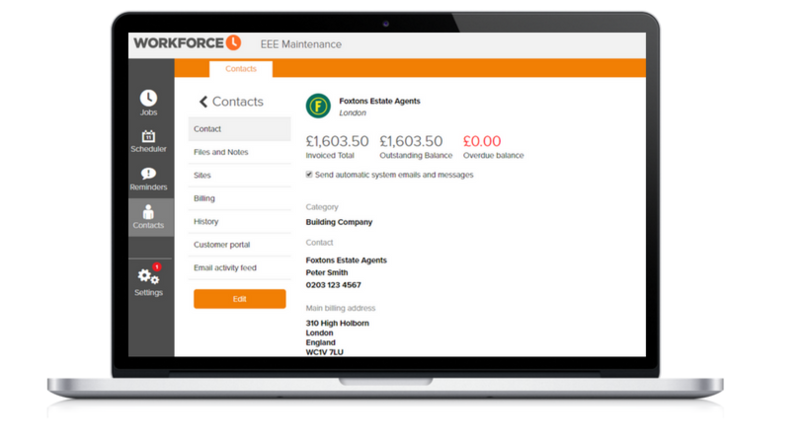 Workforce’s Customer Portal creates a secure online area where your customers have the ability, depending on the permissions they’re given by the office staff, to request a new quote or job, view existing quotes, ongoing jobs and all invoices sent to them. The portal is truly their own, with a customisable URL as well as the option to include branding, colours and logos. Open up seamless new lines of communication with direct two-way messaging between you and the customer to easily discuss jobs, quotes and invoices, saving you valuable time that would otherwise be unnecessarily spent on administration. Depending on permissions, your customers will have the ability to view all existing quotes within the portal in the quotes list. 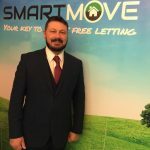 Through this, they can view the details of each quote, including costs, communications and notes, allowing them to make independent, informed decisions and accept at the click of a button. If you have Stripe card payments enabled within Workforce’s Customer Portal, you have the ability to process payments against invoices, whittling down the time spent settling accounts by a huge amount. Your customer will also be able to view the details of an existing invoices. We’re so confident that our customer portal will maximise efficiency and customer relations in your field service team that we’re willing to let you give it a whirl for free. We offer all prospective customers a free 14-day trial, providing full access to Workforce’s outstanding features. Our trial is no commitment, no obligation and no auto-subscription, so at no point during the 14 days will you be asked to provide card details. 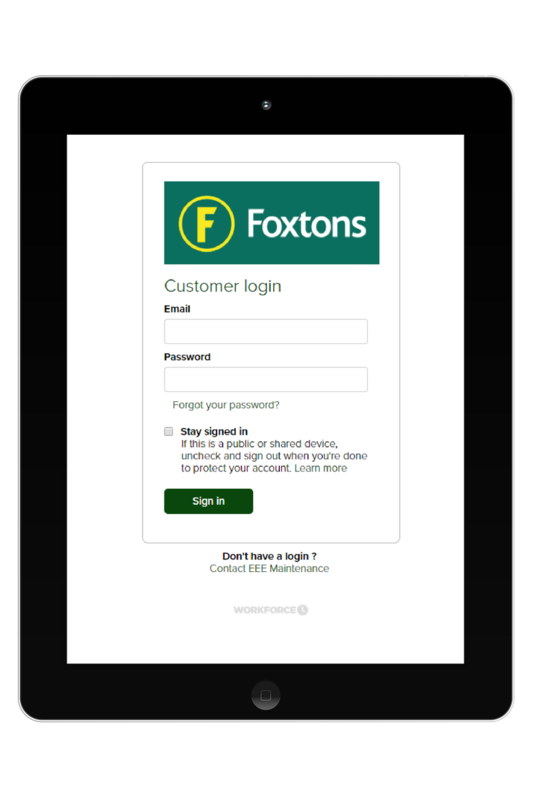 Should you wish to continue benefiting from Workforce’s software, you can subscribe from within the app at the end of the trial period. If not, your account will automatically be closed. Give Workforce.FM the opportunity to prove why it is the leading field service management app on the market today.